Plans for the University of Bristol’s ‘transformational’ new campus have been unveiled, with the £300 million project to sit at the heart of the city’s Temple Quarter Enterprise Zone. The Temple Quarter Campus will be built near Bristol Temple Meads train station on the derelict former sorting office site and will be at the heart of one of the largest urban regeneration projects in the UK, giving the prime city centre site a new lease of life. It’s hoped the campus will open in time for the start of the 2021/22 academic year. Temple Quarter Campus is a unique collaboration between the University, Bristol City Council, Government, industry and philanthropic partners, and the local business community that will build on the city’s enviable reputation for high-tech and digital innovation. Not only will it provide an important catalyst for UK economic growth, job creation and opportunities for Bristol’s communities but it will secure the University’s future growth for generations to come. Central to the vision for the new campus are a Digital Innovation Hub, a ‘business school of the future’, a student residential village and Engine Shed 2 – an expansion of the successful Engine Shed enterprise hub which houses the award-winning SETsquared business incubator. All-new degree programmes will be designed and developed in collaboration with industry partners to ensure students educated on the Temple Quarter Campus are equipped to create, lead and work successfully in the industries of tomorrow. Research and teaching on this new, future-focused campus will concentrate on the interfaces between disciplines – for example, where business education meets technology and between the University and society at large – to create social, economic and technological innovations of scale and impact. “This is an historic moment for the University of Bristol and for the city-region. This new initiative is, I believe, truly unique: a dynamic partnership between the University, industry and the city, located in an enterprise zone and major transport hub and offering the opportunity to position Bristol as a global leader in digital and educational innovation. Bristol Temple Quarter Enterprise Zone is one of the most successful Enterprise Zones in the country and is home to rapidly growing clusters of businesses in the creative, digital, hi-tech and low carbon sectors. Fully developed, the 70 hectare Bristol Temple Quarter Enterprise Zone has the potential to attract over 17,000 jobs over its 25 year lifetime and add a further £100 million a year to the city’s economy. 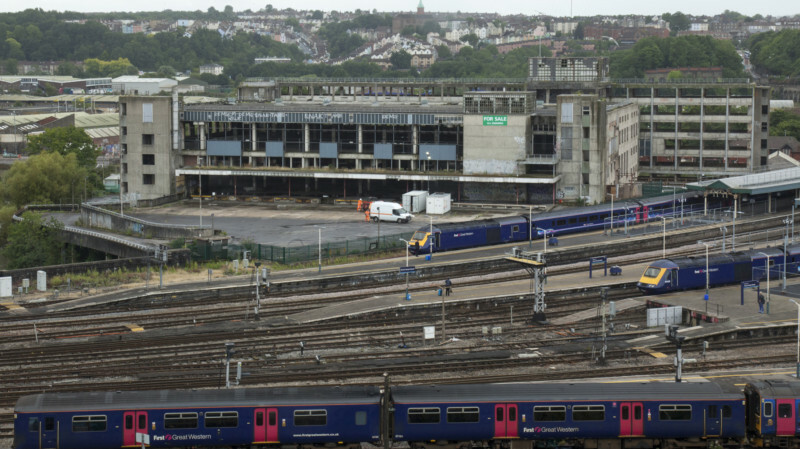 A new 12,000 capacity arena is planned for the former Diesel Depot site close to the station which, coupled with the proposed university campus on the former sorting office site, will transform Temple Meads East bringing life to an area that has lain derelict for decades. “This news confirms our place as the UK’s most technologically advanced city-region and one of the world’s leading digital cities. The future of UK industry relies on an ability to innovate and lead in the digital and technological sectors, but of course this must be built on the foundations of a stronger, fairer society which provides equal opportunity to everyone. “With this partnership we are seizing an opportunity, bringing partners together in new ways and connecting local people, businesses, academics and students both to each other and to a vast range of future opportunities. This will also attract more investment to the city, strengthen our global reputation and create a welcoming and inclusive new part of the thriving Temple Quarter Enterprise Zone. As a UNESCO Learning City we can also be proud to expand our educational offer in this way. The new campus follows the successful collaboration between the University and Bristol City Council to establish Engine Shed. The enterprise hub opened in 2013 and contributed £7 million to the economy within 12 months of opening. In that time it has supported 72 companies through the Bristol SETsquared Centre, which have raised £76 million and created 410 jobs. A university experience that supports and fosters enterprise is a high priority as 30 per cent of University of Bristol students hope to become entrepreneurs after leaving university. One of the University’s leading industry partners is Oracle. With more than 420,000 customers and deployments in more than 145 countries, Oracle offers a comprehensive and fully integrated stack of cloud applications, platform services, and engineered systems. “Oracle is delighted to be part of this unique development, which will bring together one of the world’s best universities with industry and the city.